This morning (22.01.15) your mother told me that Matt’s real tooth was growing behind one of his bottom milk tooth, I thought she was having me on... until Matt ran over and shown me his teeth... he said he has shark tooth... as it turned out, that is the proper unofficial name for it. Of course I was panicking (I always panic, haa haa haa), Matt’s bottom tooth have been quite loose for a few days now, but I’d never expected to see this. 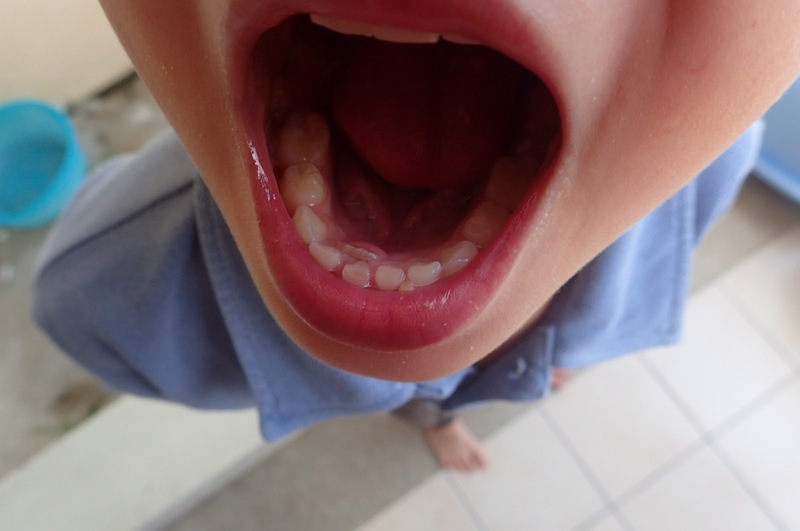 The official name of it is ‘lingually erupting mandibular incisors’ or ‘shark teeth’, it happens to about 10% of young children and mostly on their bottom front teeth, and that is exactly what Matt has, I am going to follow what I've read and will leave it for a few days to see how it develops. It does look awesome though :-), although it doesn't make Matt eat any faster... haa haa haa.